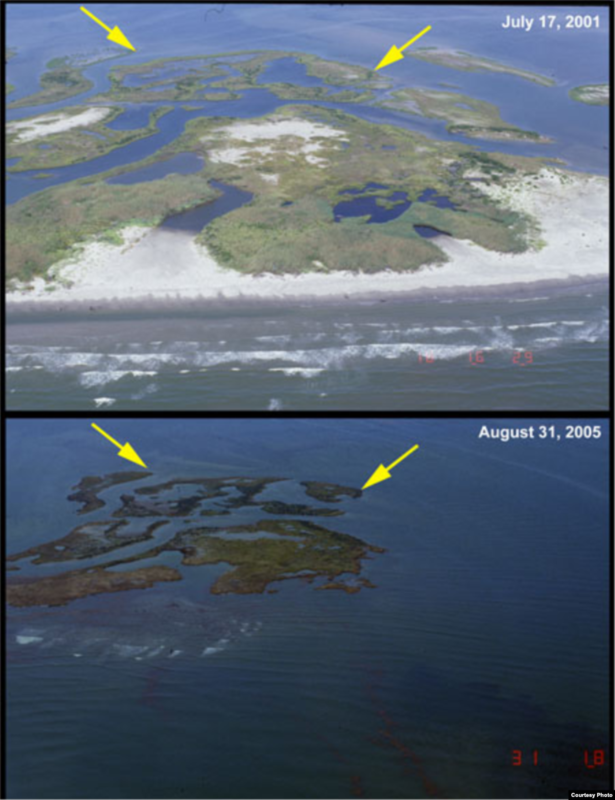 In the early morning of August 29, 2005, Hurricane Katrina ripped into the southern coast of the United States, from Florida to Texas with winds reaching 100–140 miles per hour. The hurricane struck the densely populated New Orleans, Louisiana, the city that suffered the greatest loss of life. Hurricane Kartina was the costliest and one of the deadliest natural disasters the United States has ever experienced. 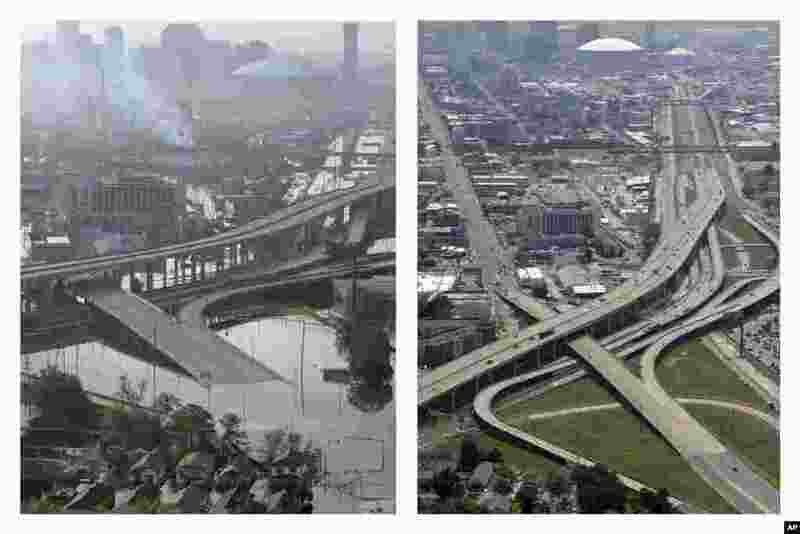 1 These photos, taken Aug. 30, 2005 (left) and July 29, 2015, show downtown New Orleans flooded by Hurricane Katrina and the same area a decade later. 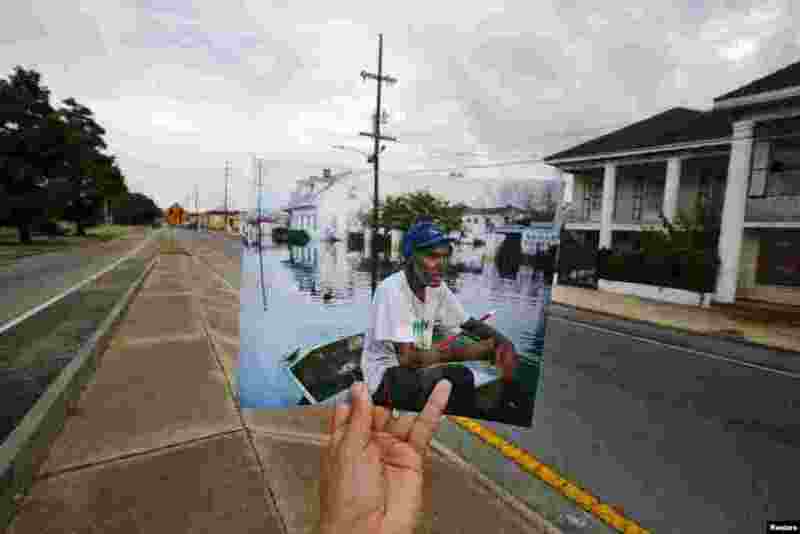 2 Photographer Carlos Barria holds a photograph he took in 2005 after Hurricane Katrina struck, matching it up with the same location 10 years later, in New Orleans, Louisiana, Aug. 16, 2015. 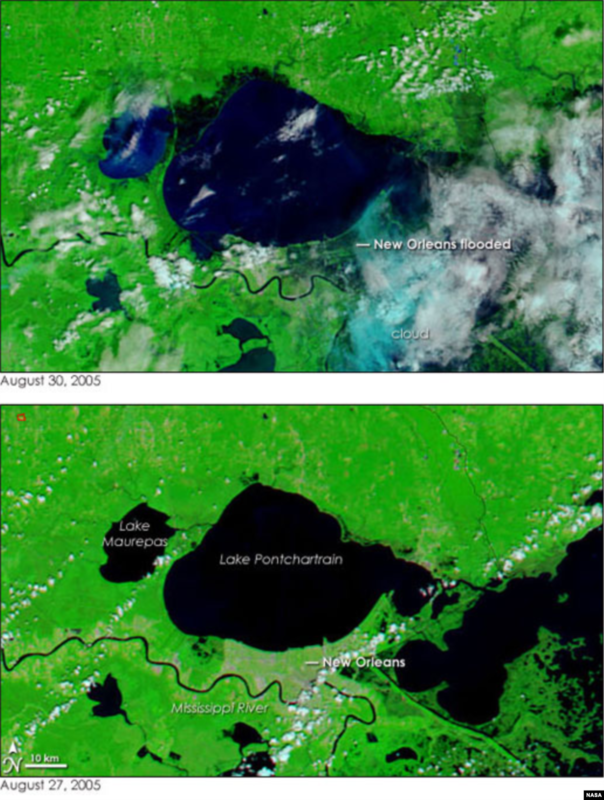 4 NASA images of New Orleans, before (Aug. 27, 2005) and after (Aug. 30, 2015) Hurricane Katrina.